A film about snails – perhaps the most appropriate slow film you can imagine. Though I still think that a film about sloths, those beloved lazy animals that come down from their trees only once a week, would be an even better choice. We shall see what the future brings. Slow is nothing more than a ninety-minute film about snails. It is a non-narrative film made entirely for contemplation. This is reinforced by the different sections within the film, which are introduced by Buddhist sayings. You’re not meant to do anything but watch. The film was shot in the Stuttgart Stadtpark, so a very usual environment with a very usual protagonist. But we would not stop to watch a snail for ninety minutes. In fact, we would likely not even notice the snails snailing from A to B. Life is too fast these days. The last thing people want is starring at a snail. Truth is, there is some fascinating footage in the film, which, for me, triggered questions as to the life, anatomy etc of snails. The film made me curious, and made me realise that I had little idea of such a “basic” animal we all used to tease when we were little by touching – as we know now, now that we’re grown-ups – right into their eyes (poor things!). Anyway, Slow is a nice meditation, and a nice argumentation between speed and slowness. It is also something that very much resonates with the concept of Slow Art, which asks you to slow down and look at things you usually walk past without noticing them. In some parts this works nicely in Slow. In others, I found the approach rather disappointing. This may sound like a paradox, but I stick to my belief that the film is too fast. It has little to do with the overall length. Even ninety minutes can feel exceptionally long. This reminds me of my first Lisandro Alonso film, Los Muertos, which was something like eighty minutes and I almost fell asleep. The main problem with Slow is that the camera / editing work doesn’t do the subject matter justice. 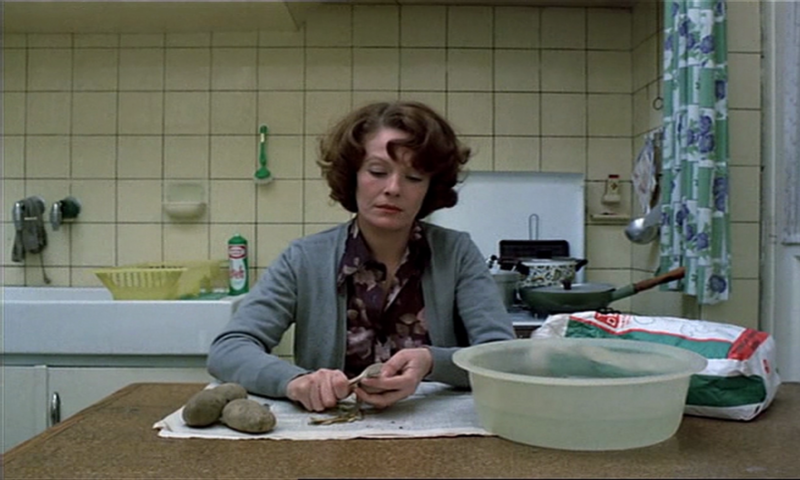 There is only one shot throughout the film that is a real long-take, which captured the slowness of a snail properly. All the other takes, while still longer than the average in popular cinema, were too short to give you enough time for contemplation. The editing work was just too visible. I wondered why a lot of the snaily scenes had to be cut. You could have easily waited until the snail was done with whatever it was doing, and then cut to another scene. Unfortunately, it felt more as if Sascha Seifert wanted to show as much as possible of the snails, so he even cut repeatedly in order to show a snail from different angles. For me, it disrupted the process of contemplation. You cannot contemplate a scene if the director cuts it away from you. A film about snails needs long-takes à la Béla Tarr or Lav Diaz, a director who really has patience and the will to challenge the audience. Don’t get me wrong, Seifert is doing it here, but I wishes he would have pushed his concept a bit more to get to the very essence of slow-filmmaking.